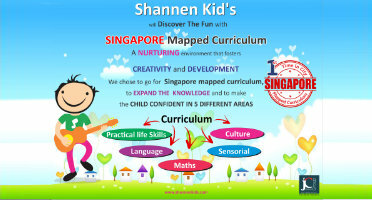 Shannenkid's will provide all sorts of support to franchisee to make the venture profitable at earliest. With our support system it would be very easy for every franchisee to operate Shannen Kids Preschool in their respective areas. We, at Shannenkid's will provide constant ongoing support to each & every franchisee. Dedicated contact person will be at the Shannenkid's Head office to answer all your queries. Administration Support for admin and finance support. Inputs to franchisee to maintain the quality of the center. Inputs for various kinds of marketing campaigns. To arrange periodic training for center in charge to keep him/her updated. Event support for occasions such as Annual Day & other Celebration too. National support : Social media, national presence in exhibition and print media. To help in finalization of the Preschool Premise. To provide design document for the Class rooms and Center too. To help in set up the preschool in all manner. Safe, secure and clean environment. Supply of equipment and toys for outdoor play area (Cost bear by the franchisee). We provide brochure, leaflets & other Marketing documents design. We also help in formation of marketing strategy. We also suggest the different & useful tools of marketing.